What does it mean to make a house a home? There are tons of physical appliances and digital applications on the market that promise to optimize your life, doing everything from monitoring your sleep patterns to reordering you milk in the name of re-training bad habits and relieving you from the burden of domestic busywork. But as is often the case when you’re trying to live on the cutting edge, some of these things are buggy or glitchy: They’ve been put together to be fast and modern, but not to withstand the actual test of use over time. When Gizmodo writer Kashmir Hill converted her apartment to a fully-wired smart home, she expected to be most anxious about her privacy (more on that later), but instead found that trying to get her mattress to talk to her coffee maker was a bigger daily frustration. It would be one thing if “push of a button” technology actually worked that way, but some things aren’t worth the setup headaches — much less the hassle of making sure they keep working every day, without causing more friction in your life. 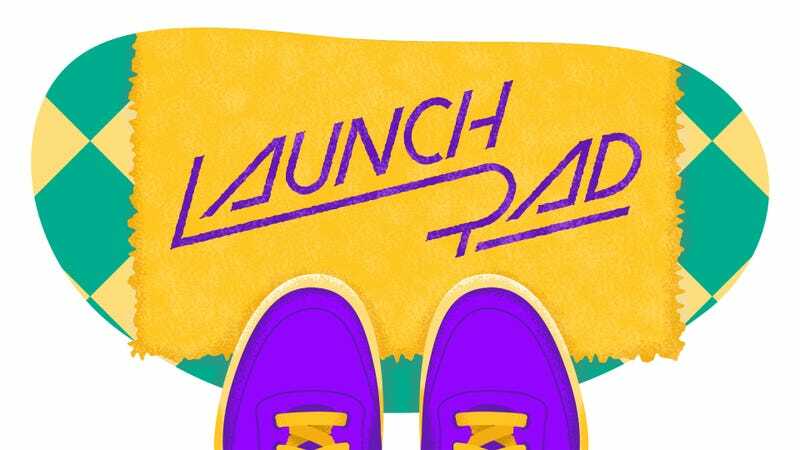 That’s what LaunchPad is all about: sorting out the truly helpful from the digital and technical noise, and giving you information about what’s thoughtfully designed, well-made, and worth your hard-earned money. Our recommendations will make your home a better-managed space — a place that is welcoming to guests, but also easy to live in and maintain. We’ll be exploring the best options for turning your kitchen counters into a homesteader’s paradise (no Mason jars required), and making sure you can listen to podcasts in every room of the house, so that you never miss a minute. We’ll look at how to set up a home office that ensures you’ll be productive and not distracted. We’ll consider what it means to have a home that’s both optimally smart and also environmentally responsible, exploring the best in green tech. And of course we’ll spend plenty of time on the most sophisticated ways to make sure that your space stays pristine with minimal effort and fuss — because no one will be impressed by the fact that your toothbrush knows your name if it’s sitting on a dirty counter. LaunchPad isn’t about technology for its own sake. A home is an investment, and what you buy to fill it, organize and clean should be, too. These are the gadgets, apps, and appliances that are innovative, effective, and personalized to make your life easier — without getting you tangled up in the wiring.